So where do you get the wine from in the intervening 3 months? 12 bottles won't last that long! So where do you get the wine from in the intervening 3 months? 12 … So where do you get the wine from in the intervening 3 months? 12 bottles won't last that long! 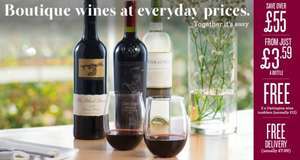 ​Where can you buy decent wine for £3.99 a bottle? My Dad has used Laithwaites for a while and found them good to deal with. If you open a bottle and decide you do not like it they will refund you so seem like a fair company to deal with. I have been drinking wine for the last 55 yrs so probably know when a bottle of wine is decent but if you don't want to buy a£9 bottle of wine for £3.99 don't place an order. I have been drinking wine for the last 55 yrs so probably know when a … I have been drinking wine for the last 55 yrs so probably know when a bottle of wine is decent but if you don't want to buy a£9 bottle of wine for £3.99 don't place an order. 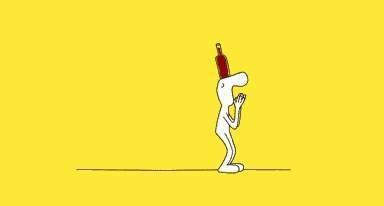 I don't understand why these wine deals go cold. I bought the Rude wines offer which was a bargain, as is this. Should last me a week anyway! Good deal for these wines. Deal posting newbie! This is johnnier first deal post. Help out by leaving a posting tip or just to show your appreciation for their contribution.